After shrinking to exceptionally low levels this summer, the Arctic’s shiny mantle of sea ice is finally starting to regrow. Way, way slower than it normally does. 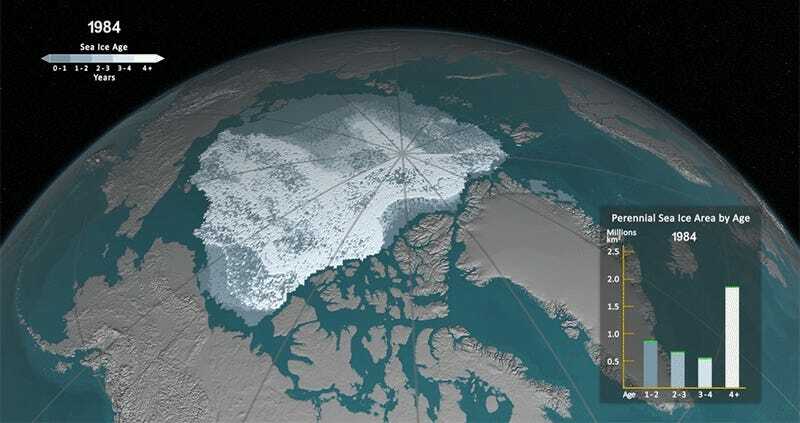 In September, Arctic sea ice hit its annual summertime minimum, dwindling to just 1.60 million square miles, the second-lowest extent since satellite record-keeping began. Now, as the northern hemisphere transitions into winter, scientists expect to see sea ice rebounding rapidly. But this year, the Arctic is less like a healthy patient putting on the holiday fat and more like a starving polar bear that just ate its first meal in months. Which is also, probably true. For the first two weeks of October, Arctic sea ice only increased by 146,000 square miles, less than a third its average growth rate from 1981 to 2010. While ice growth picked up a bit in the latter half of the month, overall, October 2016 rounded out with the poorest Arctic sea ice showing on record: a monthly average of 2.5 million square miles, which is nearly a million square miles less than normal for this time of year. A million square miles is about four times the size of Texas. It should surprise no one to hear what’s behind the stunted Arctic sea ice growth: lots and lots of heat. Data released by the National Snow and Ice Data Center (NSIDC) this week shows surface temperatures in the Beaufort and Chukchi seas, along the Eurasian coast, and in the Eastern Siberian sea more than five degrees Fahrenheit above average for this time of year. Air temperatures are also unusually warm over much of the Arctic right now. If the slow growth persists, Stroeve said, Arctic sea ice may not have the chance to thicken up to its usual wintertime extent of 1.5 to 2 meters. Thinner ice encourages more rapid springtime melting, which causes problems for polar bears and other animals that depend on the ice for hunting and breeding. Rapid spring melting also means a longer ice-free summer. 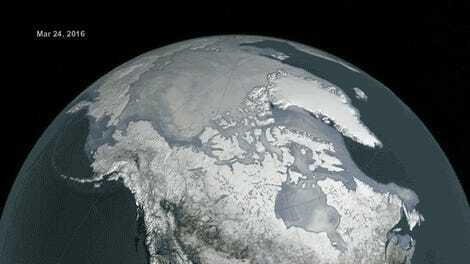 And longer ice free summers cause Arctic seas to absorb even more heat, potentially triggering even more ice retreat. “You start to get into feedbacks,” Stroeve said. On a brighter note, once the Arctic is completely ice free in the summertime—a milestone we’re expected to hit by 2050, if current carbon emissions trends continue—there’ll be plenty of extra room for luxury cruise liners to tool around, and plenty of extra seafloor for oil-hungry nations to squabble over the drilling rights to. Let no one ever say humanity’s ship sank quietly.